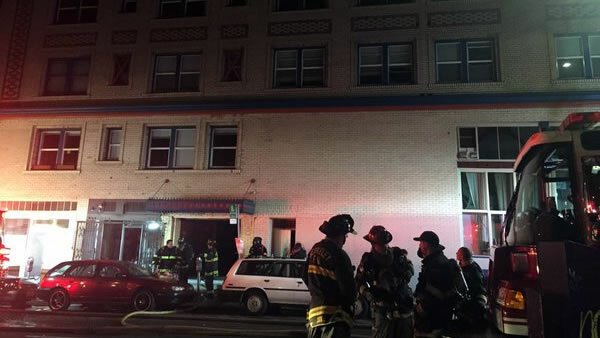 BERKELEY, Calif. (KGO) -- At least 30 people were displaced after a fire broke out at an apartment building on Dwight Way in Berkeley on Sunday. Officials said the fire broke out at 5 :30 p.m. on the fourth floor of the Chandler Building, which is located near UC Berkeley. Officials said everyone was evacuated and no injuries were reported.